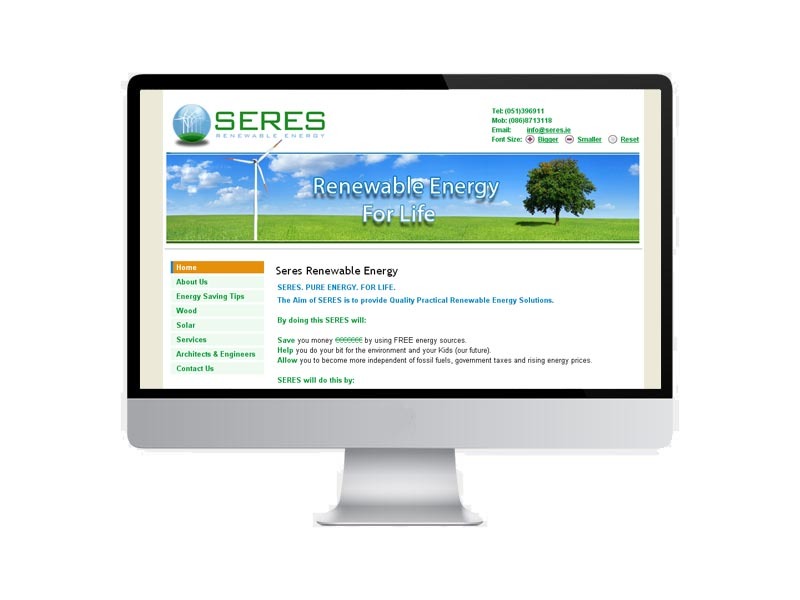 SERES (South Eastern Renewable Energy Solutions) is a company based in the South East of Ireland to provide high quality renewable energy solutions to its customers. SERES required a website that was readily expandable and could be maintained by their own staff. Cquent designed and developed a Content Management System (CMS) site to achieve this.